It can be highly rewarding to enter and win an art competition or be given an art award. Collecting these accolades is part of the art business and can achieve in one event what months of advertising can fail to do, and that is get your business noticed. Winning, however, is not easy. You will need to study the market, look at past winners, study the judges and still stay true to your own designs. Once you have done your homework and have a pretty good idea what the judges are looking for it is still not guaranteed that you will win, but you will have the satisfaction of knowing that you did everything you could to stand a chance of winning. There are many places you can go to find out about competitions and awards. Libraries, art societies, magazines, local press, art galleries and national papers will all carry details of up-and-coming art competitions or awards in the local or nationwide areas. Once you have a list decide which events you wish to enter and give yourself plenty of time to get ready. Lack of preparation can spell disaster. Keep a diary of the competitions you are entering and also add another marker at least a month in advance reminding you to finish up your entry piece, make any delivery arrangements along with any insurance you need to arrange to protect your work during transit and display. Send for entry forms as early as possible as these will be returned with the entry requirements and outlines that you will need to adhere to. Remember, all work must be original and not plagiarized. Also worth noting is that many competitions require an entry fee, make sure you get a receipt as these expenses are tax deductible. When you win an award, remember to add the details to your literature and fliers. Put up posters in your studio and send out a press release. 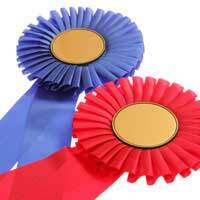 Awards can lead to an increase in business as the public see the awards as statements of your ability. You wouldn't win unless you were outstanding, right? So use this to your advantage and at every opportunity use the fact that you have won an award for your art, no matter how small, to promote your work. In your studio keep a space for displaying your awards and certificates, along with the winning piece. Use it as your own museum to show people how you have progressed and how much your work is admired by the art profession. To this display you can also add details of all the societies you belong to. Impressions count, and a person who is unsure about purchasing your work may be persuaded to part with their money when they can see that you are an award winning artist. Winning competition and awards will set you apart from the amateur artists and you will be seen more as a professional. You can use competitions to showcase what you can do but wouldn't perhaps sell in your shop. Experimental pieces are often highly sought after once you become a household name and can fetch large sums in auction houses. Don't be afraid to think outside the box when entering competitions, it is often the pieces that make a judge think or that challenge out perception of the world that win competitions. However, make sure that what you do does conform to the competition rules as you won't get your money back if your work is disqualified for not adhering to the guidelines. This looks agreat site! Definitely user friendly. Can't say I've seen anything similar. Have added it to favourites. Thanks!